Jean-Claude van Itallie was born in Brussels, Belgium in 1936. When he was four, his family fled the Holocaust to suburban Great Neck, New York. After graduating from Harvard in 1958, van Itallie was a seminal force in the explosive 1960s Off Broadway theatre. A LaMaMa and Caffe Cino playwright, among van Itallie’s many acclaimed plays: anti war trilogy America Hurrah, The Serpent with the Open Theatre, The Tibetan Book of the Dead, Bag Lady, The Traveler, Ancient Boys, Struck Dumb with Joseph Chaikin, Light, and translations of Genet’s The Balcony and Chekhov’s major plays. Author of The Playwright’s Workbook, van Itallie teaches writing and acting workshops. For many years he and Emilie Conrad co-taught in New York City and in Los Angeles combining Continuum Movement with van Itallie’s creativity techniques. In 2012, van Itallie performed his one-man show, Confessions and Conversation at LaMama in NYC. 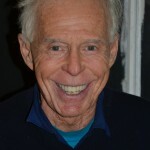 He lives on his old farm in Western Massachusetts where he directs Shantigar Foundation for theatre, meditation, and healing, and in Greenwich Village, NYC. More and more in my own writing and performing, and in my workshops, I use Continuum Movement as a vehicle for creativity. Continuum is a gateway to organic artistic expression. It is a way of accessing that deep gut place from which, as you act, write, or create in any way, you express what the universe needs to express through you.